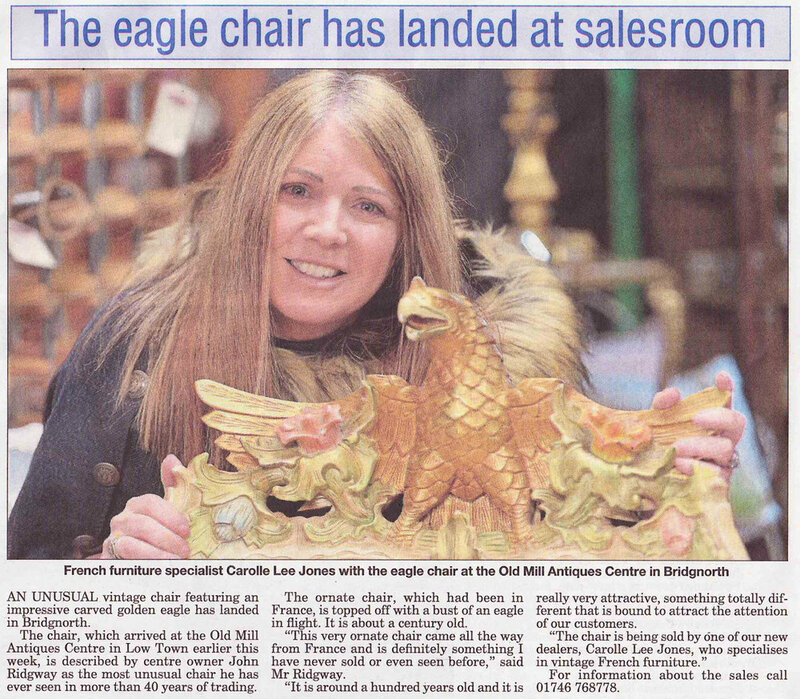 An unusual vintage chair featuring an impressive carved golden eagle has landed in Bridgnorth! 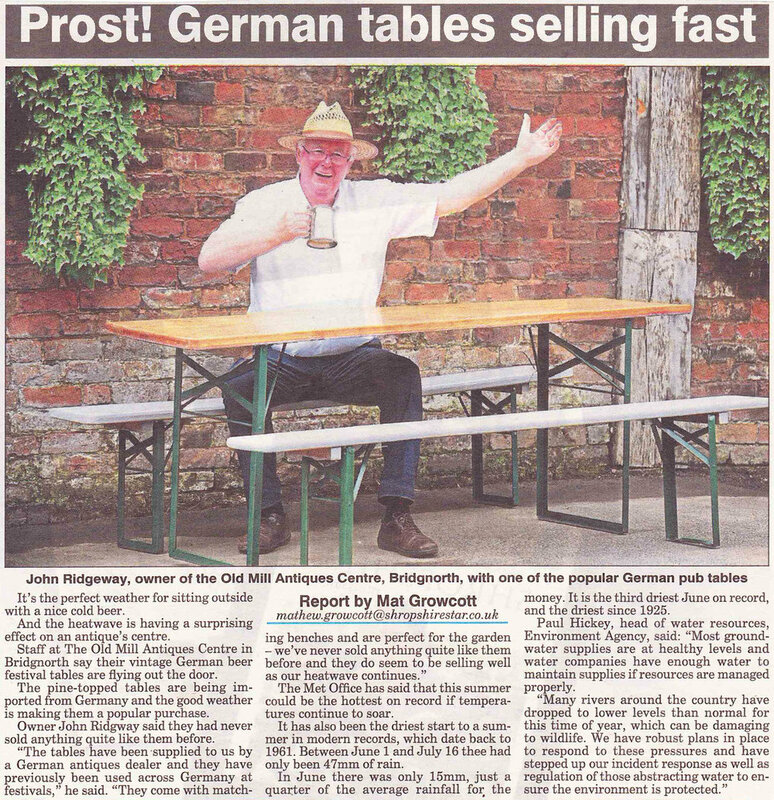 The chair, which flew in to the Old Mill Antiques Centre in Low Town earlier this week, is described by centre owner John Ridgway as the most unusual chair he has ever seen in more than forty years of trading! “This very ornate chair came all the way from France and is definitely something I have never sold or even seen before,” said Mr Ridgway. 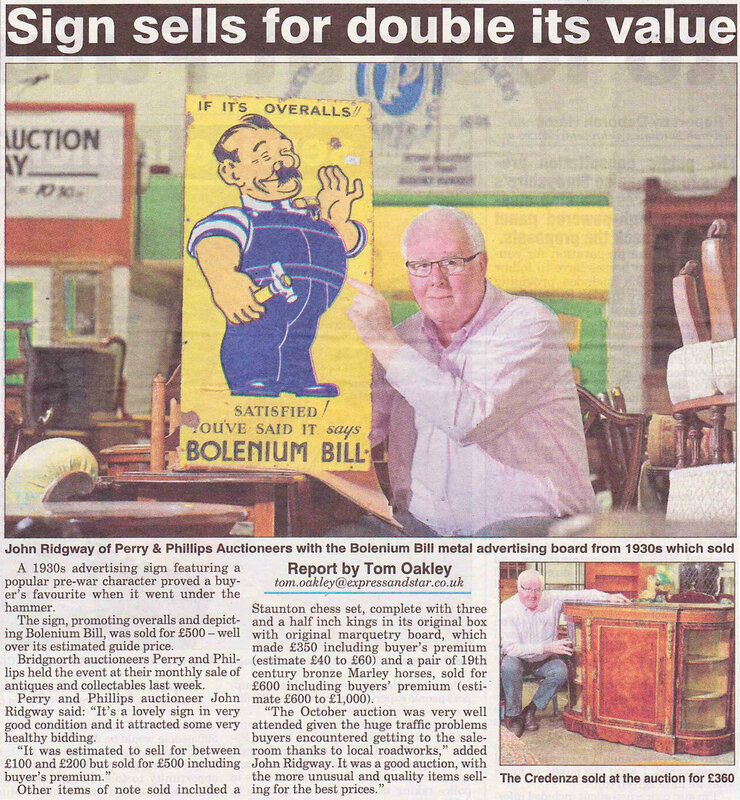 “It is around a hundred years old and it is really very attractive, something totally different that is bound to attract the attention of our customers. 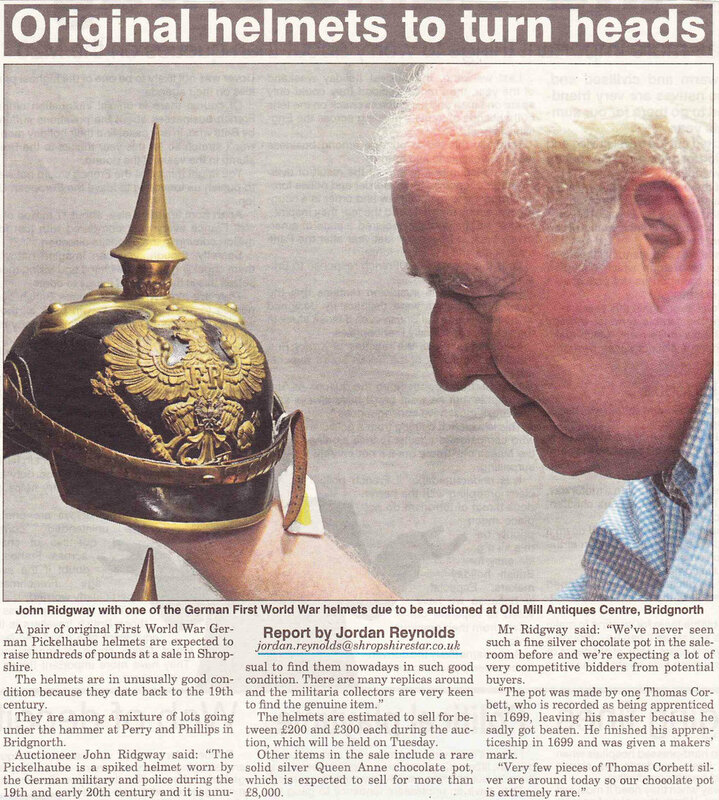 The Old Mill Antiques Centre, in Mill Street, Low Town, Bridgnorth is open seven days a week from 10am until 5pm. To view the full articles, please click on any image, which will open them full screen in a lightbox.